There is a place where the land curves into the wide smile of a bay. A place where lush, green, tropical vegetation thrives next to a white sand beach, which is gently licked by blue waves of the sea. Then suddenly, “Brogudoosh! Brogudoosh!”, an unexpected disaster disrupts the equilibrium of the happy, magical bayside community. 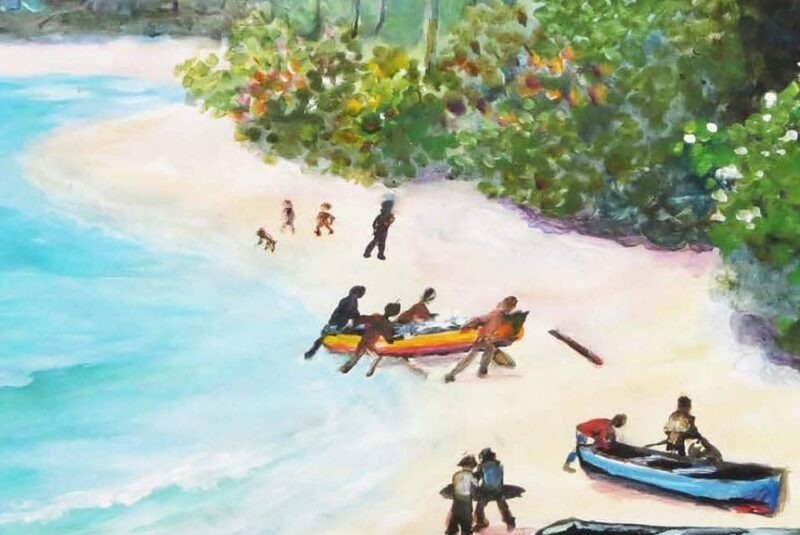 In this elegantly written poem story, the reader is immersed into a Caribbean plant kingdom. The Tortola, VI author makes clever use of personification to provide precious lessons about friendship, change, and resilience. 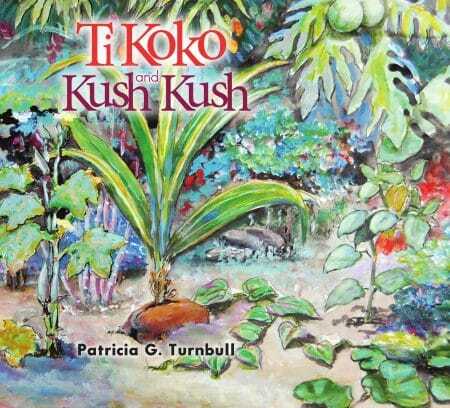 Flavored with ancestral wisdom and folklore, Ti Koko and Kush Kush would certainly stimulate questions about Caribbean history and traditions for children ages 4 to 9 in the region and from around the world. The book’s colorful illustrations also promise to appeal to the young readers’ attention and serve to further strengthen the cognitive processing of their surroundings. For her fellow educators, Turnbull’s title provides an early base of a strong foundation for environmental awareness and appreciation, while generating concern about the protection of resources. Furthermore, while reading this new book at home, or in early stimulation settings, the young and young at heart may be tempted to sing or speak in the voices of Ti Koko the little coconut and Kush Kush the wise yam; and to dramatize the story. Ti Koko and Kush Kush is the third richly designed children’s book by authors from different Caribbean islands published by House of Nehesi Publishers (HNP) in St. Martin. Editor’s Note: N.C. Marks is a writer and geography teacher from St. Vincent and the Grenadines. Ti Koko and Kush is available at www.SPDbooks.org; Adifferentbooklist.com; and bookstores in Tortola, St. Martin, and St. Lucia. Une : Ti Koko and Kush, colorfully illustrated storybook by Patricia G. Turnbull.